DK-LOK® Quick Connects are push to connect couplings that provide quick and easy access into a system. 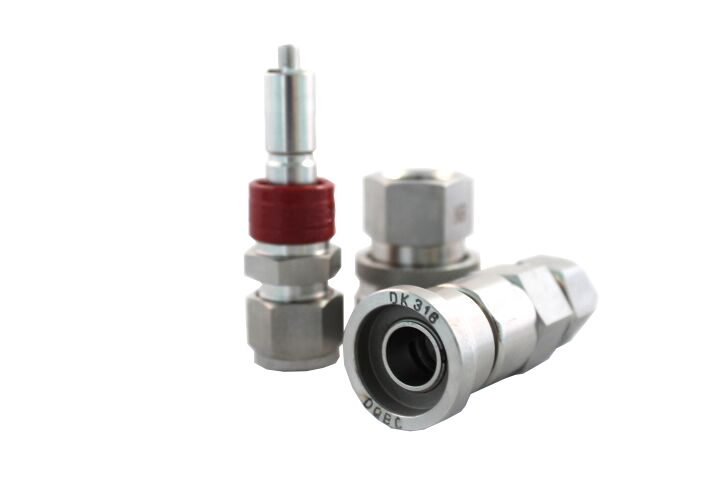 They are available in end connection sizes from 1/16” to 1” depending on the type of end connection and series; DQ, DQM, and DF. Available in full flow, single end shut-off (SESO) and double end shutoff (DESO) to meet application needs. The DQ series offers keyed options for easily protecting against intermixing. Standard materials are stainless steel and brass with a variety of elastomer seal materials.